SHOULD YOU CLEAN NEW CARPET? The most common reason for carpet cleaning is for old carpet that is dirty. You might not realize that you should hire a local professional to clean brand new carpet too. Brand new carpet is made with several repellants and toxins and volatile organic compounds call VOCs. VOCs include formaldehyde and acetaldehyde. Brand new carpet will also fray and shed not long after installation too. This means that technically your new carpet isn’t dirty but there are materials and toxins on it you should remove and the best way to do that is to vacuum to remove the shedding and schedule carpet cleaning Fort Wayne to remove the VOCs. The first 72 hours after a carpet is installed are the worst. You will want to have your home well ventilated during that time, especially if children or senior citizens live with you. After 72 hours, the VOCs will continue to emit their fumes for years unless the VOCs are removed from the carpet. Deep cleaning carpet removes the VOCs for good and should be done immediately after the new carpet is installed. 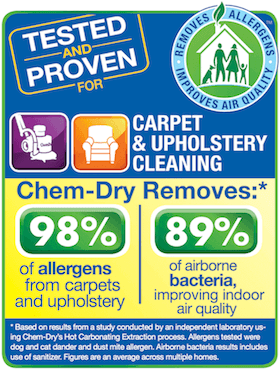 Chem-Dry of Fort Wayne carpet cleaning uses green cleaning solutions that are non-toxic and safe for your home. Our carbonated solution, The Natural®, lifts the VOCs and other contaminants from the new carpet and we then extract it with powerful suction equipment. The new carpet will dry very fast and you will be able to enjoy your beautiful new flooring soon after the appointment is over. Even better, the new carpet will be healthy for your family and you. Do not wait more than one year to schedule another carpet cleaning appointment. 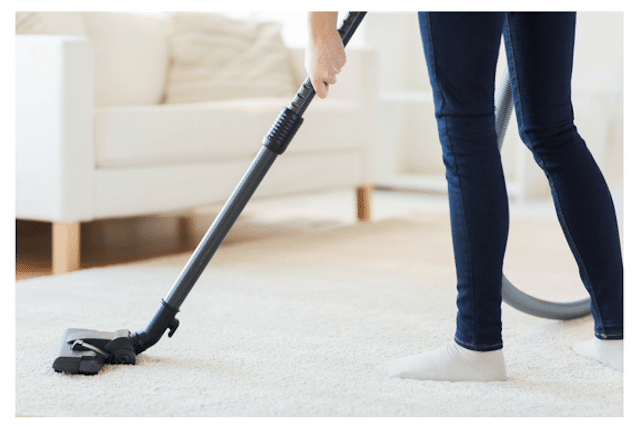 To ensure your carpet lasts as long as possible and retains its quality you should schedule carpet cleaners one time every year after it is installed. It is a good idea to clean new carpet even though it isn’t dirty. Call (260) 409-1138 for professional carpet cleaning from Chem-Dry of Fort Wayne.